Info: Created on Wed, 31st October . Last edited on Thu, 1st November. V1.0 - made when only Basic Latin was present. 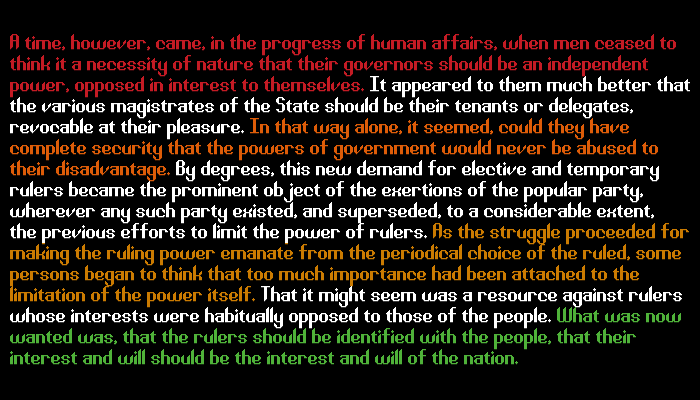 Text from On Liberty by John Stuart Mill.